Historian Chmelik holds lecture on George Washington and 21st century issues. Outrage follows. We here at the Yokel are used to council member comments relating to county council business. So it’s a refreshing change when we get to hear a councilman’s religious objections to a proposed State bill. Change is good, right?! *quote in parenthesis left out. does it [national morality] not require the aid of a generally received and divinely authoritative Religion? Washington’s religious beliefs have been widely debated, and there is no real way to know how he would feel about a bill drafted in 2015. It does not lend your point of view any more credence because you choose a few words from our first President. But hey, if Tony can speculate about Washington’s feelings on modern political issues then we will too! 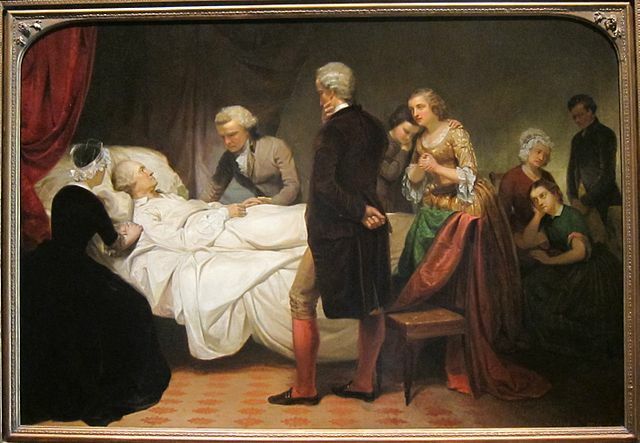 George Washington had an excruciating last few days of life. Some of it due to his illness and and a lot of it due to what his doctors did to him. So it leaves us to wonder, after what he went through, would George Washington deny his fellow citizens the right to end their life with dignity? One would think no. We will never know for sure, because he is dead, but it seems to be the fashion to speculate. Senator Young’s bill is full of safeguards and double and triple checks. It’s truly about the terminally ill being spared the horror of a painful death. No where in this text does it say that you have to participate in this. It simply gives people who may not see the world in the same way that Tony does, the option to do so. We wonder if Tony would make one of his beloved dogs have what he calls a dignified death. Or does he listen to the veterinarian when he is told that it would be inhumane to make the poor thing suffer? If you happen to believe, as we do, that humans should be given the same consideration as a family pet, please email Senator Young at: ronald.young@senate.state.md.us to show your support.